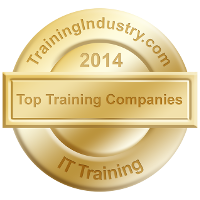 20th November 2014 – Fast Lane is proud to announce that for the seventh year in a row, they have been included in TrainingIndustry.com’s list of Top 20 IT Training Companies. The list displays companies that are recognized in the industry as the top providers of training services and is part of Training Industry’s mission to continually monitor the training marketplace and help organizations connect with the right training partner. Fast Lane offers complete Authorized training solutions for Cisco, NetApp, Microsoft, VMware, Symantec and more. With traditional classroom and Instructor-Led Online (ILO) course options that utilize vendor and custom-developed curriculum, Fast Lane’s strictly managed training program guarantees the highest level of education and quality.